2016 marks the 50th anniversary of the National Historic Preservation Act (NHPA), signed by President Lyndon Johnson on October 15, 1966. NHPA has transformed the face of communities from coast to coast, establishing the legal framework and incentives to preserve historic buildings, landscapes, and archaeology. 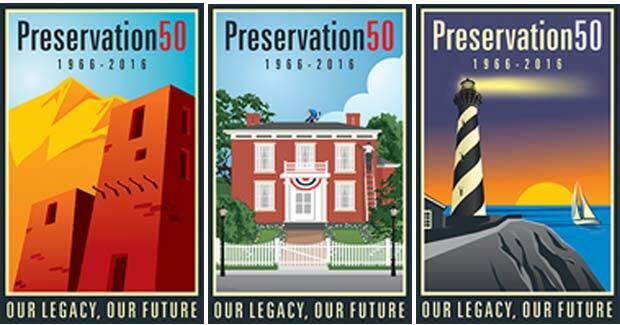 Preservation50 is the United States’ four-year effort to celebrate, learn from, and leverage the NHPA’s first five decades to assure historic preservation’s vibrant future in America. History lovers of all ages and backgrounds are gearing up for a slate of programs and initiatives aimed at revealing the great value that historic preservation delivers to the American people, and growing a community to lead preservation in the next 50 years. The National Trust is a close partner in planning the celebration, and invites all its members to spread the word about how the NHPA has shaped the preservation of America’s historic and cultural heritage legacy in every corner of the nation. 2016 might feel like it’s far off, but it will be here before we know it. Get involved now by visiting www.preservation50.org and connecting with the celebration on Facebook, Twitter, and Instagram.